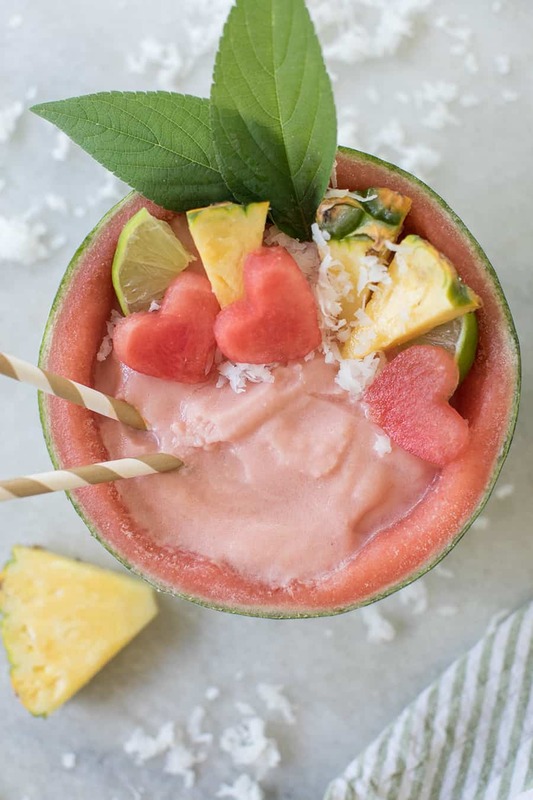 I’m going to apologize for putting this song in your head, but if you like Piña Coladas… you’ll love this Watermelon Piña Colada! It’s a perfectly sweetened, creamy, blended colada with watermelon, coconut rum, lime, banana rum, pineapple juice and, of course, coconut cream! This delicious tropical cocktail recipe is also very easy to make since you simply toss it all in a blender and blend until smooth! 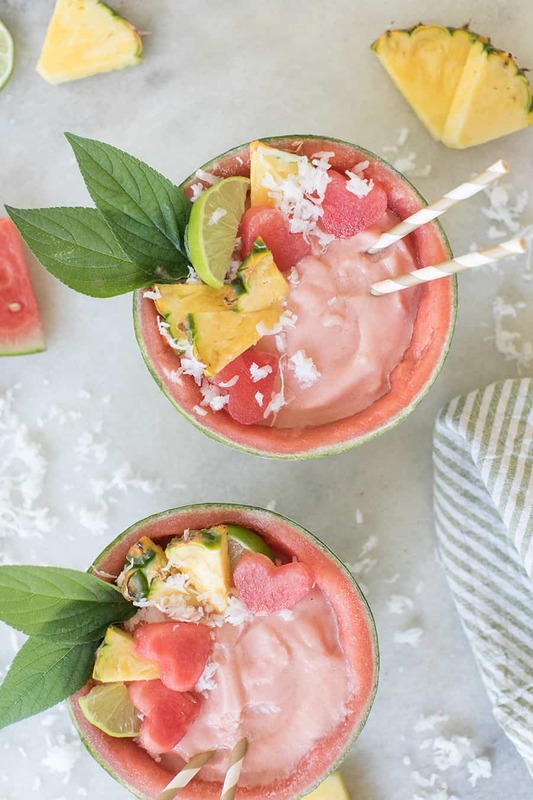 It’s all about a charming presentation, so serve these Watermelon Piña Coladas in watermelon bowls! I cut small watermelons in half, then scooped out the watermelon and froze it to use for blending the cocktail. Cut small watermelons in half and scoop out the watermelon on to a cookie sheet to freeze over night. 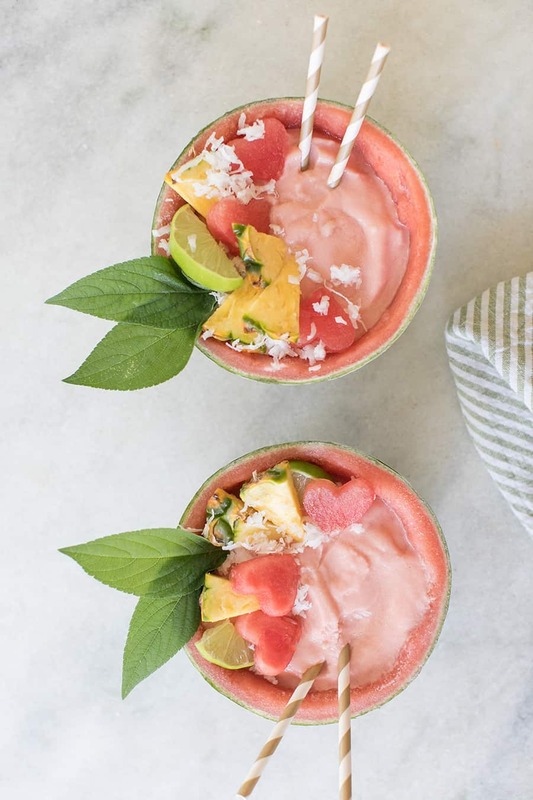 Save the watermelon shell/bowls (place in the freezer) to serve the pina coladas. 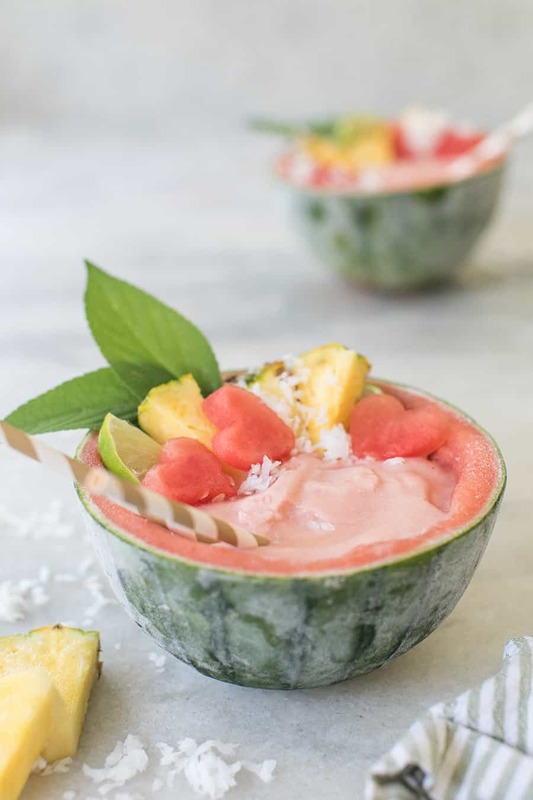 Pour into watermelon bowls and serve with two straws! This looks so delicious, but how would you adjust the recipe to make it non-alcoholic? For the watermelon pina colada recipe, how much does the recipe make ? It makes two in the watermelons, so you can probably get three in a glass!